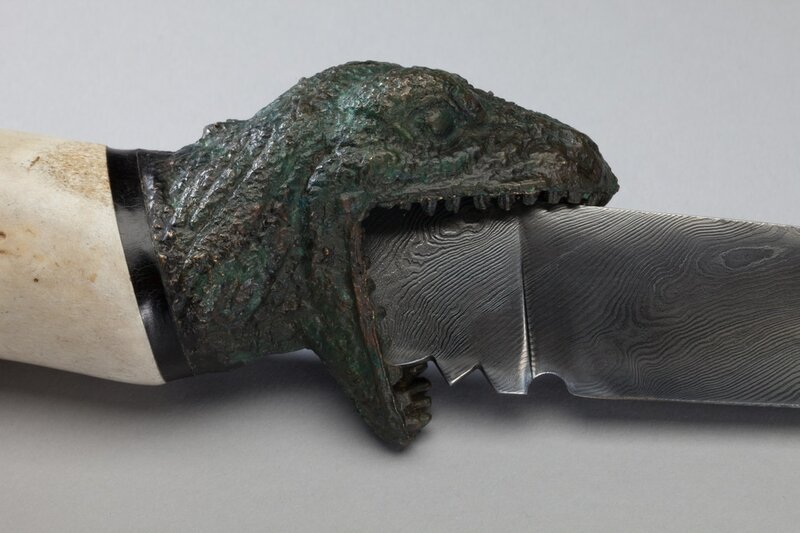 Damascus Steel Blades are made from alternating layers 1084 high carbon steel and 15N20 nickel steel, forge welded together at about 2300 degrees farenheit. The laminate is notched folded and re-welded to increase the layer count and then manipulated by twisting, punching, milling… then re-welded again to develop a pattern that goes throughout the billet of steel. After the blade is forged and ground to shape it is hardened in oil. Then the blade is tempered to control toughness and durability.